Kareena Kapoor Khan arrived at Shah Rukh Khan's Diwali bash. Bebo was dressed up in a traditional attire. Bebo looked radiant in her traditional outfit for SRK's Diwali bash. She carried a classic lehenga choli and finished her look with those big earrings. 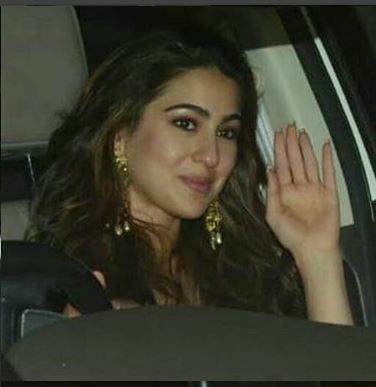 The 'Kedarnath' girl, Sara Ali Khan waved at the photographers as soon she arrived at SRK's bash. Sara looked extremely dazzling in her traditional attire. The rising star struck a great pose in her Diwali dress. Jacqueline got papped at Shah Rukh Khan's Diwali bash. She looked amazing in her traditional blue dress. The actress was spotted slaying in her beautiful net saree. She finished her look with silver earrings and bangles. Ananya Pandey, who is gearing for the release of her Bollywood debut, 'Student Of The Year 2' was also spotted at SRK's bash. Malaika Arora, who is close to Shah Rukh Khan and Gauri, marked her presence at SRK's Diwali bash. Alia Bhatt, who has worked with Shah Rukh Khan in 'Dear Zindagi', marked her presence at the SRK's bash. She slayed in a black outfit and we are sure she made several heads turn with her attire. The 'Badrinath Ki Dulhania' star struck a pose with her mentor Karan Johar. The duo looked stunning. Karan Johar donned a traditional look for Bhai Shah Rukh Khan's Diwali Party. He carried a silver long jacket and paired it with a black kurta. 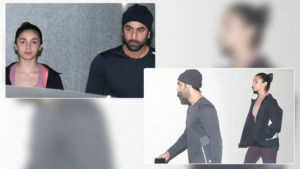 Aditya Roy Kapur was sporting a traditional black kurta at Shah Rukh Khan's bash. Kat carried a hot black outfit for the Diwali party at Shah Rukh Khan's house. She wore a fusion black saree with a deep neck blouse. The 'Kuch Kuch Hota Hai' actors reunited at the Diwali bash. 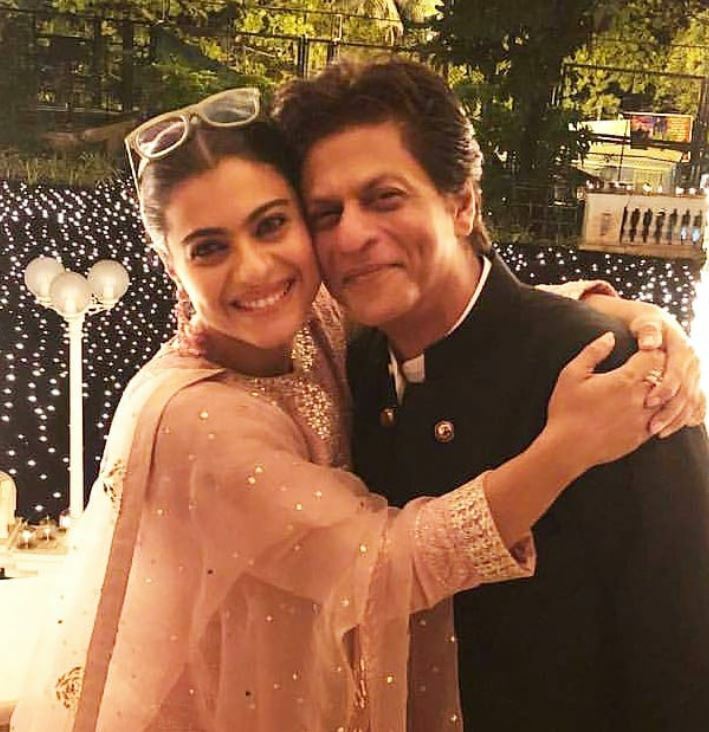 Kajol struck a cosy pose with her BFF, Shah Rukh. Mom-to-be Neha Dhupia was also spotted at SRK's bash. She carried a beautiful white dress for the party and was accompanied by hubby Angad. 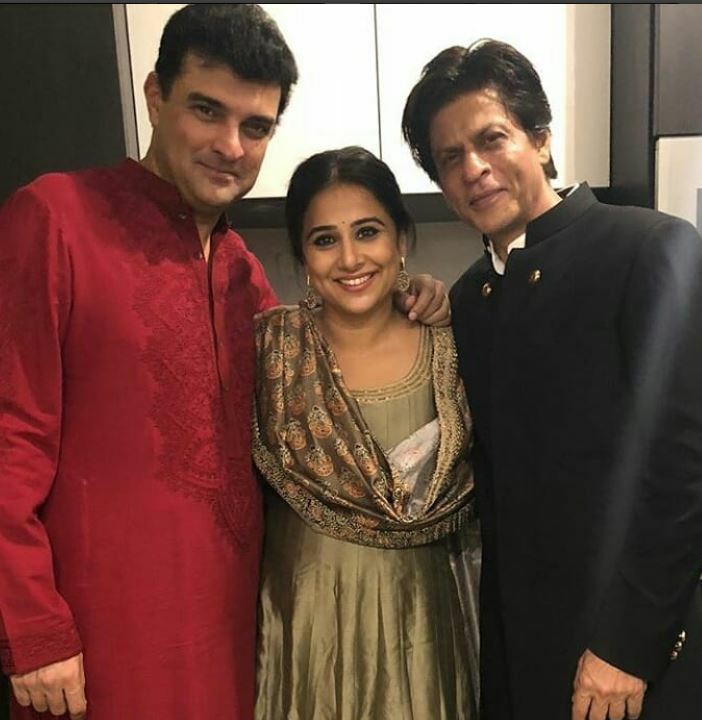 Siddharth Roy Kapur and Vidya Balan struck a festive pose with the host of the event, Shah Rukh Khan. 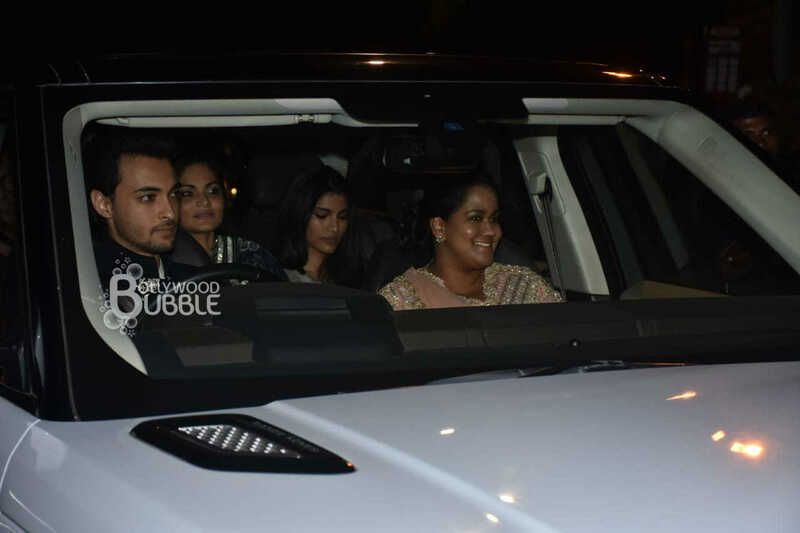 The 'LoveYatri' actor, Aayush Sharma brought his wife Arpita Khan Sharma at Shah Rukh Khan's Diwali bash. 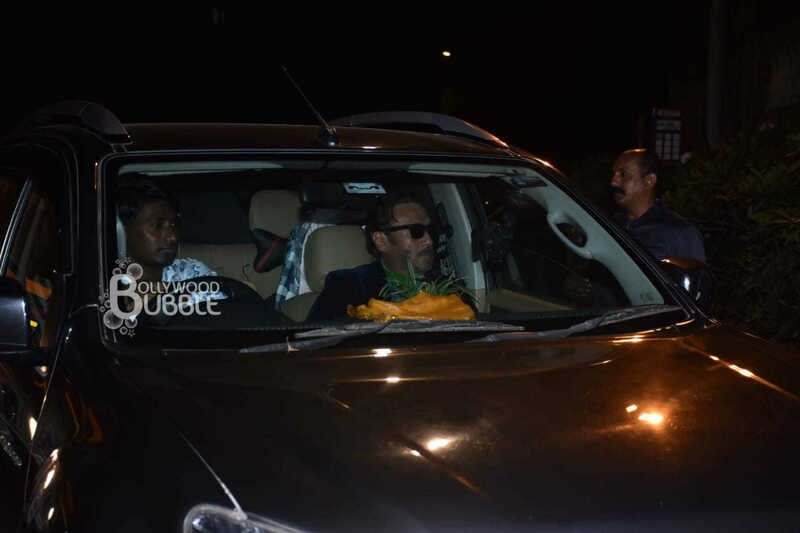 The 'Paltan' actor, Jackie Shroff was also in attendance at Shah Rukh's bash.